How often do you recharge your batteries to renew yourself? You may (or may not) remember a commercial that featured the Energizer Bunny. He ran on the superior Energizer brand batteries and he just kept going and going… Unfortunately, you are not the Energizer Bunny. (And, I’m not either.) 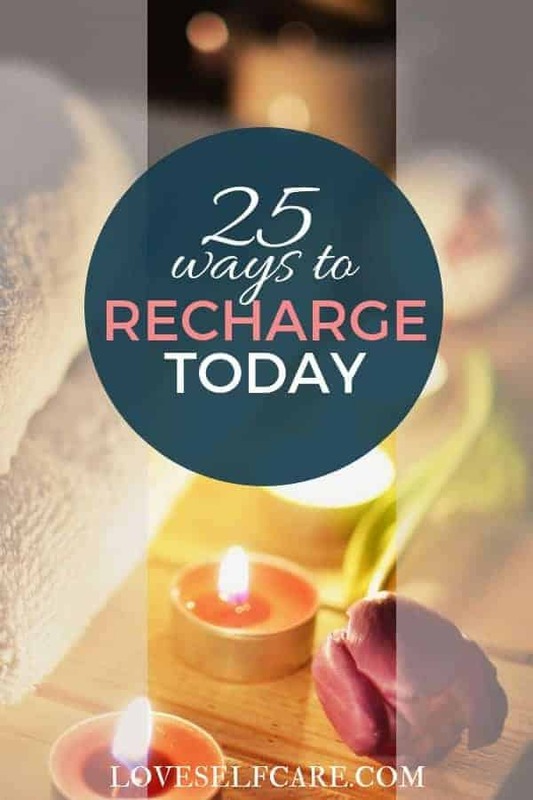 We all need ways to recharge our batteries on a regular basis. 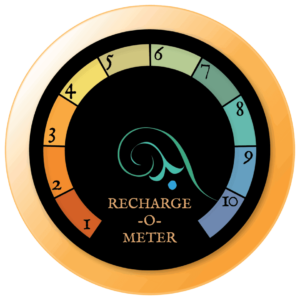 The Recharge-O-Meter was created to measure how much a particular activity recharges YOU. Since we are all different, how much something recharges me could be totally different from how it affects you. For example, I love a good nap. You might loathe the thought of one. Regardless though, we all need to find things we can do to recharge ourselves. When you are going through a particularly stressful time, you might need something that scores a ten. To maintain status quo, you might only need a five. Although, anything is better than nothing, right? (1) Massage – You can enlist a partner or you can go to your local massage place. (Watch this guy though. I like his enthusiasm on giving a proper massage.) Massages rate a 10 in my book. (2) Music – What music makes you dance in your chair? What makes you want to belt out a song in the car? For me, 80’s and 90’s music usually does the trick. Pick what works for you and go for it. Great music that gets me going rates a 7. 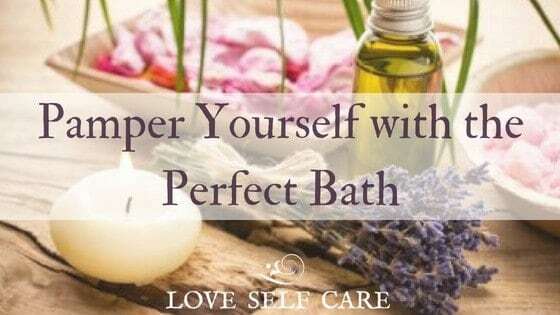 (3) Spa Day (At Home) Products – If you like the idea of spending the day at the spa, but don’t relish the price tag here is an option for you. In Style Magazine gathered up a list of products you can find in your local drugstore. For about $60 (paying full price – I would bet you could get it cheaper by shopping around) for eight products, they will have you covered from head to toe. Head to toe, reasonable priced at-home spa day that is going to rate another 10. (4) Take an Afternoon Nap – One of my best guilty pleasures on the weekend is a nap. I love crawling into bed and knowing I have at least 30 minutes of uninterrupted time to take a quick snooze. My favorite tools to drop off quickly are black out curtains, a noise machine, and a nice pair of cozy socks. (If you purchase the socks below, I will earn a tiny commission as an Amazon Affiliate at no additional charge to you.) Naps are a solid 8 on my Recharge-O-Meter scale. (5) Entertainment – Escape Pods – “Escape Pods” are for when you feel the desire to escape reality for a little while via TV or the Movies. Check them out here – Outlander, Wonder Woman, A Chef’s Life, La La Land, and This is Us. Getting to check out of reality for awhile rates a 6 for me. (6) Day In – A “day in” is one where I plan to do things around the house that have been nagging at me for a while. Do you have any unfinished projects or business you could work on? What completed tasks would give you a mental and physical load off to not have to think about any more? Finishing unfinished business makes me feel great – so it scores an 8. 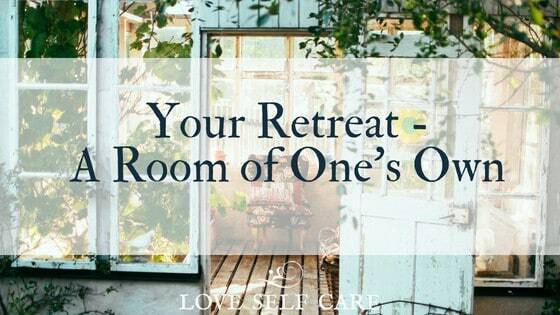 (7) Retreat – There are two types of retreats that apply to Self-Care. One is the creation of a space where you can rest and relax. The other is an actual Retreat where you take time to “Restore, Rediscover and Reawaken Your True Self” in the words of author Jennifer Louden and her book “The Women’s Retreat Book”. (Again, if you purchase the book through this link, I’ll earn a few pennies. Thanks!) Taking time to have a retreat is right up there with a massage for how I feel when I’m done – rating this one a 10. (8) Exercise – Much has been written about the value of exercise and how that relates to your peace of mind. My doctor reminded me of this yesterday as a matter of fact. She said even 20 minutes a day on a quick walk can do wonders to help keep stress at bay. If you can walk outside, even better! Easy exercise like walking scores a 5 on the Recharge-O-Meter for me. (9) Yoga – If yoga is done right, you should feel like a million bucks when you are finished. It is the only exercise I actually look forward to because it feels more like a massage for my inner organs and muscles than a workout. Rodney Yee’s “Yoga for Beginners” is easy and feels amazing. If you don’t want to pay for the subscription through Gaiam, you can always borrow it from your library. Yoga makes me feel refreshed and relaxed, so it earns a 9. (10) Check Ups – This definitely doesn’t fall under the fun category, but check-ups at the doctor’s office are an important part of self-care. I hate needles, yet I got my blood tested and a flu shot yesterday. I just practice deep breathing during it and keep going. Yearly check-ups as far as a physical, mammograms, dentist and eye doctor visits are hopefully part of your routine. I don’t like them, but I’m always glad when I’ve done them – so a 4. 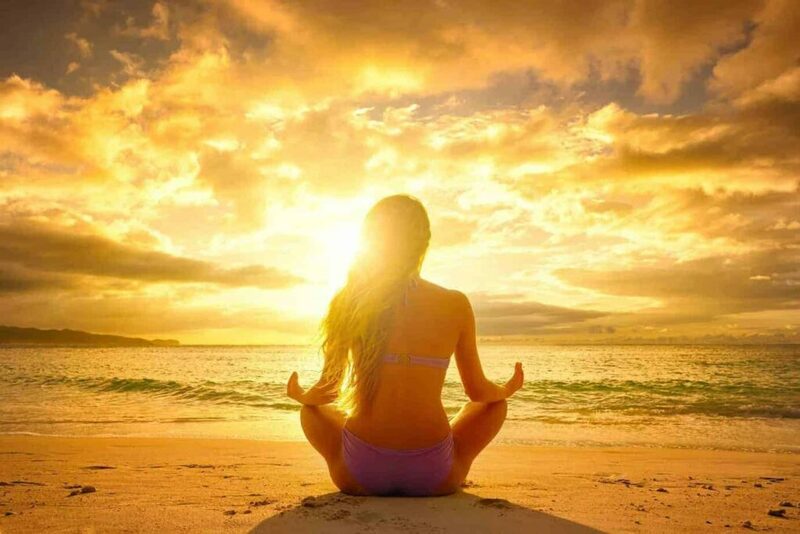 (11) Meditation – Once a quarter Deepak Chopra and Oprah Winfrey offer a FREE meditation series. I’m a big fan of their series and his meditations in general. Here is a sample meditation of his on “Living Carefree”. This is another winner in my book for recharging me – my score is a 10. (12) Nutritious Meals – I’ve used Emeals for many years and love the ease of choosing a plan (Clean Eating, Quick and Healthy, Kid-Friendly, 30 Minute, Budget Friendly -average $85 or less for a week, Slow Cooker and more). The best part is you can switch back and forth among the different ones if you don’t like it! I just renewed mine for a total of $48 for the year using a 20 percent off coupon ($4 a month or $1 a week). For that, I get to have recipes sent to my email or phone (their Emeals app is very cool). See the video below for how it works. It is so simple! If you use this link, I’ll earn a free month. But, check them out regardless. Love it! The ease of getting something decent to eat for my family – this scores a 7 in my book. (13) Schedule Time with a Friend – Some days an update on Facebook or Instagram just won’t cut it. You need some real face to face interaction with someone who really understands what makes you tick. So, go ahead and call or text your buddy and plan a lunch date ASAP. Spending time with your best buddies can be very therapeutic – a solid 9! (14) Spiritual – We all believe in different things and that is what makes the world go round. Whatever you believe in that makes you feel like there is a higher purpose or calling for your life, spend some time thinking about the magic of not being in charge for awhile. The most restoring time for my spirit is when I live my beliefs – a 10 for me. (15) Couple Time/Date Night – One of the best resources I’ve found for planning date nights and couple time is a website called “Dating Divas”. They have all kinds of inexpensive and free printables for helping you connect with your spouse or significant other. Time out with your significant other, having fun and reconnecting – another 10 for me! (16) Creative Pursuits – We are ALL creative beings who have something to offer the world. I strongly believe that. 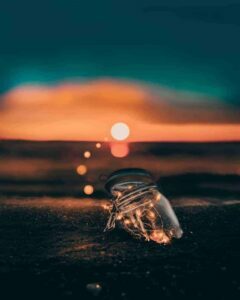 One of the most recharging things we can do for ourselves is to spend some time either in work that fulfills you (18) or doing something creative that expresses who we are. So pick your passion and spend some time doing it! Even when it is exhausting, creating something that didn’t exist before – is a perfect 10. (17) Breathe – Just Breathe – Check your breathing and see if you need to work on not holding your breath. When I start to feel tense, I know I will change my breathing to be more shallow. Being aware of this tendency is the first step towards changing it. Breathing correctly again feels wonderful – scores a 10. (18) Work that fulfills you – I hope you get to spend some time every day doing something that fills you up, rather than just depletes you. If you are not in that boat, then please check out some of Barbara Sher’s books. They are truly excellent! (Again, if you purchase the book through this link, I’ll earn a few pennies to keep this site going. Thank you!) Work is still work, but filling you up rather than draining you – scores an 8. (19) Laughter – Not much in this world can recharge you like a good laugh. Whether it is a sitcom or a movie, find something to make you laugh. Some of my favorites are “30 Rock”, “Saturday Night Live”, “American Housewives”, “The Goldbergs”, and Jimmy Fallon. Laughing at Liz Lemon’s antics is a definite 8 in my book. (22) Say No and Set Boundaries – This is not as much fun. But, being able to say no to the things you don’t want to do so you can say yes to all of the things you do is totally 100% worth it! If you need help on saying no, read this from PsychCentral.com. Saying no to something you really don’t want to do and freeing up your precious time – scores a 9! (23) Learn a New Skill – It really is fun to allow yourself to be a beginner again just like you used to do when you were a kid. Check out #NotPerfect. Being able to be a beginner again is fun, this scores a 7. (24) Hobbies – You may have a hobby that you have let go due to time constraints. Maybe you could pick it up again? Personally, I love to spend time going through my photos and scrapbooking. Spending time on a hobby I haven’t done in a while – scores a 5 for recharging my batteries. (25) Indulge – Every now and again, you just need to let yourself have what you want that you consider an “indulgence” to eat. In my case, donuts would be on the list. A good friend of mine likes grilled cheese with mayonnaise and bacon. Another loves dark chocolate. Just pick something that makes your heart sing a little and is worth it – scores a 6! And, there you have it! 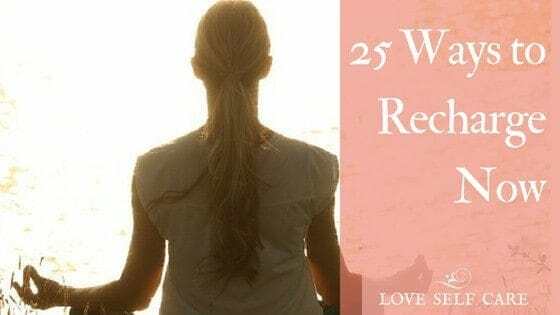 Twenty-five ways to recharge your batteries when you feel like you are on empty. Obviously, my ratings for each item are how much it recharges me. Your list might look totally different. But, that is the beauty of it. Explore, take note of what works for you and add it to your toolbox of resources to take good care of YOU! I would love to hear your ideas in the comments below for other ways to recharge your batteries. Please share if you have any suggestions. P.S. If you would like a printable set of worksheets for listing out what recharges you, please sign up for my newsletter here. I’ll send you several printable reminders of ways to recharge as well as the worksheets. Enjoy! What a great list! I do several of these or at least know that several of these are good for me but I loved all the resources and links you provided! Thank you so much! I would encourage everyone reading to check out your blog!